The Blue Mountains, stretching south of Walla Walla into central Oregon, are one of the Pacific Northwest's iconic mountain ranges. Formed by successive periods of volcanic activity, home to diverse forest and grassland ecosystems, and rich in wildlife, the Blues have long held a special fascination for all who live in and recreate in the range's embrace. 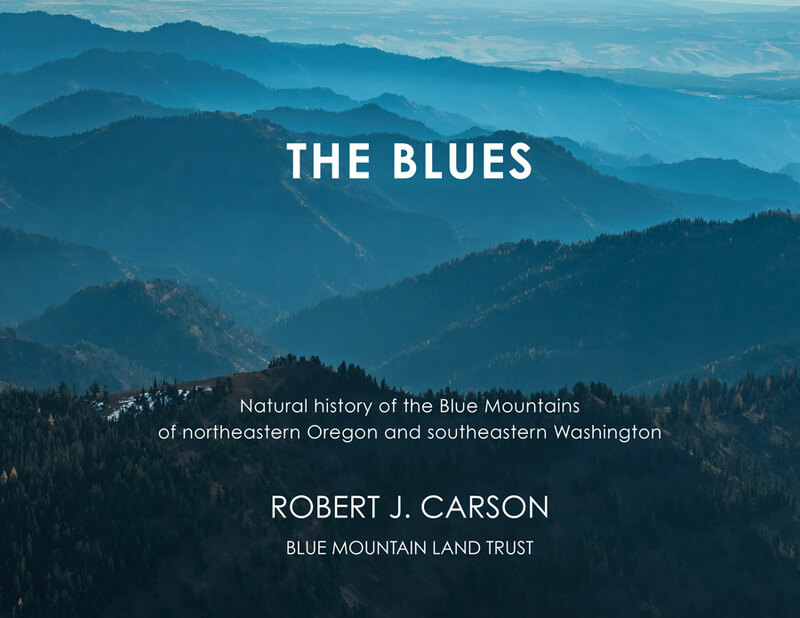 Now the Blues' unique natural history is the subject of this new book – the first volume ever to take its readers deep into the story of the range’s creation and history. In geological parlance, the Blue Mountains are a long anticlinal ridge composed mostly of basalt flows, stretching from Clarno, Oregon to Clarkston, Washington. Here, Carson has combined scholarly and elegant writings with the outstanding photography from more than a dozen contributors. The book includes a foreword by Don Snow, an afterword by Scott Elliott, and poems by Katrina Roberts and Janice King. Duane Scroggins, Bill Rodgers, and many others have contributed hundreds of magnificent photographs that draw readers into this incredible region.